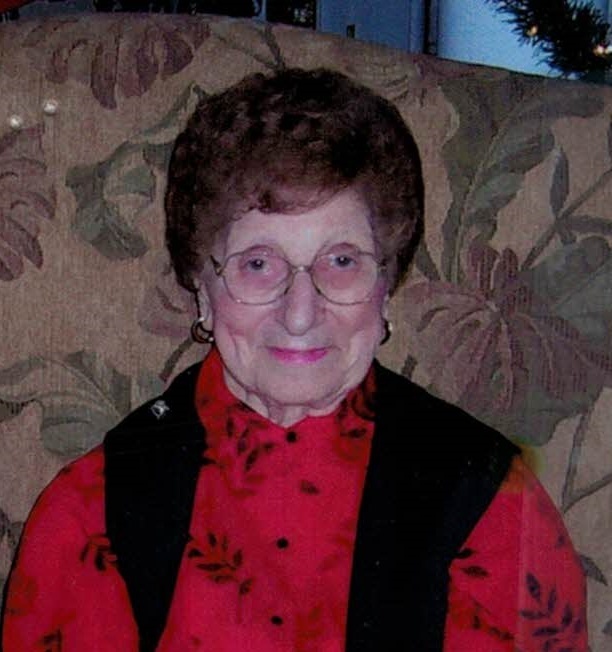 Rose J. Perrotti, 97, of Waterbury, passed away peacefully on July 23, 2018, at Regal Care Center of Waterbury. She was the wife of the late Pasquale Perrotti. Rose was born on March 30, 1921, the daughter of the late James and Theresa (Greco) Tomeo. She lived in the Town Plot area all her life. Her husband Pasquale was originally her neighbor, and they were married for 30 years previous to his passing. Rose was a communicant of Our Lady of Mount Carmel Church. She was a homemaker all her life and she loved to crochet with her Sister Angie. She is survived by her daughters, Patricia Palladino and her husband Richard, Rosanne Meyers and her husband Terry, her son, Carmine Perrotti, her grandchildren, Richard Palladino and his wife Susan, Dr. Amy Palladino of Florida, Scott Meyers and his wife Mary, Patrick Meyers and his wife Jean, Shelly, Samantha, Carmine Jr. Perrotti, and several great-grandchildren. Rose was predeceased by her sisters, Teresa Massaro, and Angie Williams. The family would like to thank, Regal Care Staff, Pat, Barbara, and Kathy, for all the wonderful care that was given to Rose over the past seven years. A Funeral Service will be held at 8:30am, on Saturday, July 28, 2018, from Colasanto Funeral Home, 932 Bank St. Waterbury, to Our Lady of Mount Carmel Church, 785 Highland Ave., Waterbury, for a Mass of Christian Burial, at 10:00am. Burial to follow in Calvary Cemetery. Family and friends may call at the funeral home from 5:00pm to 7:00pm, on Friday, July 27, 2018.